Turn the thermostat up. This will open the "zone valve" to circulate hot water through the baseboard or radiators. The zone valve controls hot water to flow through different heating zones, such as the kitchen baseboard or the bathroom baseboard. If there is still no hot water coming into the baseboard, check the breaker in the main panel box; it may have tripped, turn it on if it is shut off. Locate the emergency shut-off switch, usually located at the top of the basement stairs or right outside of the boiler room; turn it on if it is shut off. Located the emergency shut-off switch near the boiler; turn on the switch, if it is shut off. 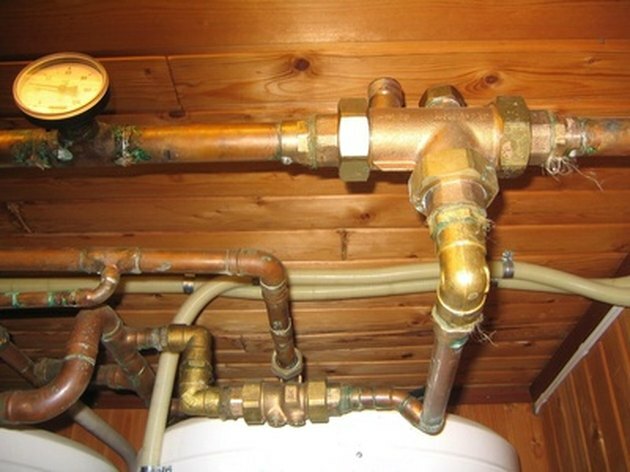 If the hot water baseboard is still not working, open the manual gate valve located directly above the zone valve -- the zone valve is located close to the boiler. Each pipe coming off the boiler will have a different zone valve, and it will have wires connected to it. If there is still no hot water coming into the baseboard, Check the zone valve. Refer to the manufacturer's spec sheet for detailed instruction on the function of the zone valve. Most zone valves have a switch on the back; push the switch to open. If the hot water baseboard heating system is still not working, the trouble is with the boiler. Call a plumbing and heating specialist. How to Check if a Taco Zone Valve Head Is Working?